A new study from a Fisher College of Business professor suggests research and development teams could use some more outside-the-box thinking in how they structure and manage their own innovation projects. The research appeared in Production and Operations Management journal titled: “The Role of Project and Organization Context in Managing High-Tech R& D Projects.” This study employs both qualitative case data and survey data from more than 100 R&D projects at nearly 34 high-tech organizations is authored by Aravind Chandrasekaran, an associate professor of management sciences at Fisher. In his research, Chandrasekaran found that companies are making a very common mistake in managing their R&D projects, and the consequences can range from an internal preference towards cut-and-dry, quick-turnaround innovation projects to loss of market share and competitive edge. At the root of this increasingly troubling trend among R&D teams is a common villain: The tried-and-true approach, backed by decades of research and results. Projects typically are categorized and managed by the extent of change in the product, process, technology and market dimensions. A routine iPhone upgrade from a 3G to a 3GS, for example, falls at one end of a continuum as a so-called incremental innovation project. “If you’re going from a CD player to an iPhone, though, that’s radical innovation,” Prof. Chandrasekaran said. This research posits that R&D project management shouldn’t be determined on a sliding scale of eventual change, big or small. Rather, it should be driven by project goals, whether they’re to explore a new technology or to exploit opportunities for efficiencies, cost savings or faster time to market, Prof. Chandrasekaran said. 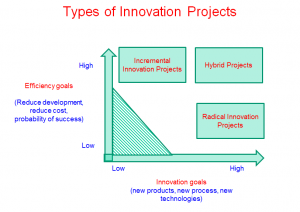 The research found that incremental and radical innovation projects thrive under two entirely different sets of so-called project and organizational contexts. Incremental projects need diligent, transactional leaders at the helm, low levels of team-member autonomy and well-defined goals that are tied to outcome-driven incentives. 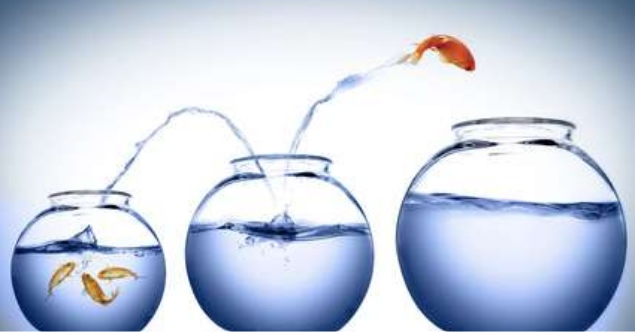 Radical innovation projects, meanwhile, need a leader who’s willing to promote risk-taking and experimentation, give team members more latitude and reward them at milestones, not just the finish line. Crossing these wires, the research found, can be deadly for project success. Put a rigid, transactional leader in front of a radical project team and the creative juices stop flowing. Give incremental project teams more autonomy and a hands-off approach and deadlines are missed. A one-size-fits-all approach to project tracking, all too common in the companies surveyed, spells trouble, too. Teams juggling a mixed bag of projects, all with the same metrics and reporting structure will develop a Pavlovian affinity for the fast and predictable incremental ones and leave the long-term radical ones on the to-do list. Here’s the nuance that even the savviest high-tech companies miss in their ongoing R&D project management efforts: Some projects in these environments are driven by goals typically associated with radical innovation and incremental innovation, but existing research doesn’t offer much help on how to deal with them, Prof. Chandrasekaran’s research found. These so-called “hybrid projects” aren’t new to post-recession R&D departments, but they’re making more appearances as companies are asked to do more with less or – at best – the same. “In this day and age, budget cuts are more and more visible in R&D environments, and companies are being asked to make big leaps in projects, pushing up deadlines without giving additional resources,” he said. The growing stakes of maintaining competitive edge are outpacing overall R&D spending, too. 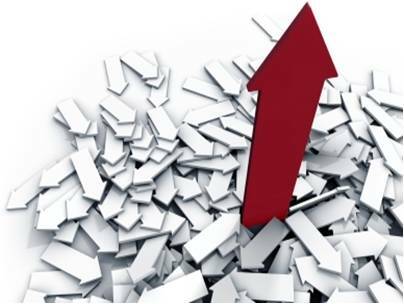 An annual Battelle report on R&D expenditures found U.S. spending is set to grow about 2.5 percent this year, on par with the growth in the national Gross Domestic Product but slower than the global growth rate of 3.4 percent. 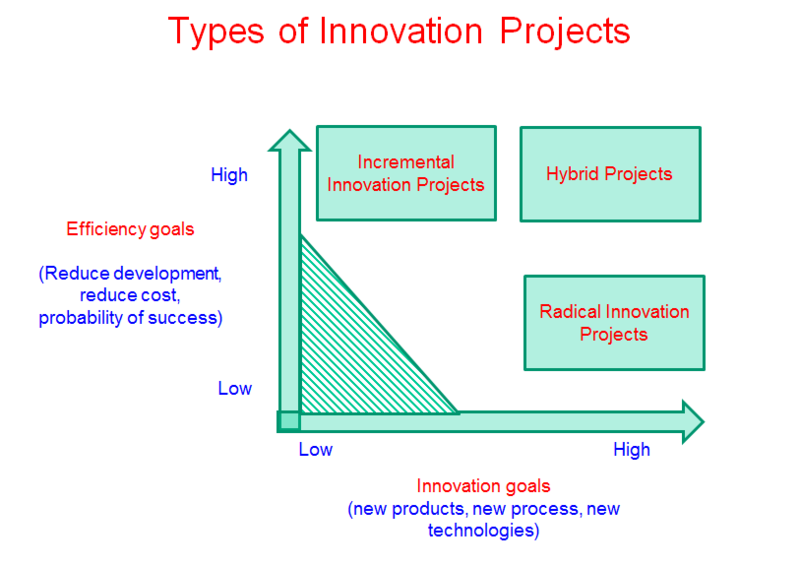 The key to nurturing these hybrid projects, Prof. Chandrasekaran found, is first not to let them get incorrectly classified as radical innovation projects, the most frequent mistake. Key red flags to look out for include the addition of deadline or cost pressure to an otherwise radical innovation project. Tapping into high-tech companies for this study, Prof. Chandrasekaran said, wasn’t an act of random selection. The tech sector remains the R&D industry’s most fertile ground for growth, but that doesn’t mean this research is valuable only to them. Any company investing in R&D should take notice of the opportunities they’re missing as they organize and deploy project teams, he said. In short, effective senior management support in R&D doesn’t stop after signing off on a budget. That’s just the beginning. Chandrasekaran, A., Linderman, K., Schroeder, R.G.2015. 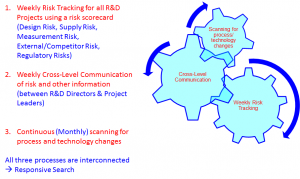 The Role of Project and Organizational Context in Managing High-Tech R&D Projects. Production and Operations Management 24(4) 560-586. For all the far-reaching complexity inherent in high-tech companies, decades of research and practice have helped simplify the crucial research and development process into two principal roads taken. Some projects set their sights on version 2.0, tweaking and improving an existing product or technology, while others start from scratch, riding the tide of technological advances and market demand to create something radical and new. The management approaches guiding these two types of innovation have guided countless products to successful updates or launches. The problem? These same projects can unexpectedly change scope, and companies that don’t pivot accordingly can wind up at very costly dead ends. Research from a forthcoming article1 in Production and Operations Management sheds light on how traditional approaches to managing R&D projects are failing companies when they face a sudden shift that brings new complexity to a seemingly simple problem. Looking at two multi-billion dollar companies – one a cautionary tale, the other a benchmark of success – we’ve uncovered key measures that other high-tech organizations can learn from to avoid product launch delays, excessive costs and market share loss. These insights are rooted in a study where we tracked a dozen R&D projects in three high-tech business units across two companies over three years. One company, which we will call MicroTech, is a $1 billion-a-year disk-drive maker. The other is a Fortune 500 communications tech giant we’ll call CommNet. Each company followed existing R&D best practices on budgeting time and resources, sorting projects into two major “buckets.” One consists of less complex, so-called incremental innovation projects (think of a new iPhone release with slight modifications) while the other requires more complex, so-called radical innovation, launching a new product following exhaustive experimentation, testing and market research (think of Apple’s leap from the iPod to iPhone). As such, these two kinds of projects necessitate different management techniques: Top management, for example, typically keeps a closer eye on radical projects, which are high-risk and high-reward. For MicroTech and CommNet, eight of their 12 projects we studied began with one level of complexity and never shifted; the remaining four, however, saw scope shift from incremental to radical after a change in customer requirements or emerging technology. MicroTech set out to update a disk drive and leveraged its seamless and flexible project management system, ultimately basking in commercial success. CommNet’s journey to upgrade a durable tablet designed for police and firefighters, meanwhile, ended in failure. At first glance, both companies’ approaches to product development don’t appear radically different. Its three key mechanisms MicroTech had in place that helped it pivot and stick the landing. 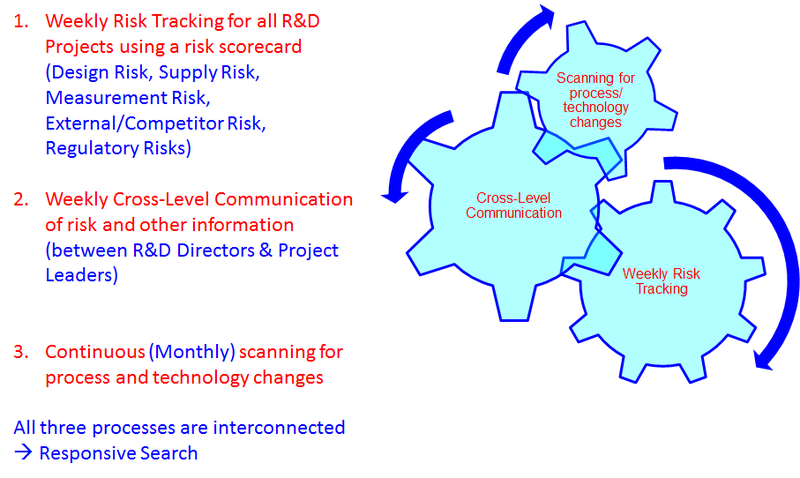 Weekly Risk tracking: Research on R&D project management largely recommends keeping close tabs on risk for radical product development and taking a more hands-off approach for incremental changes. MicroTech flatly ignored this conventional wisdom – and for the better. Senior managers here used the same risk-tracking framework for all R&D, completing simple risk scorecards on a weekly basis that gauged risk factors and flagged problem areas. These scorecards were deployed as visual dashboards accessible that provided up-to-date information to multiple management levels (even up to the Chief Technology Officer). CommNet, by comparison, eschewed this routine risk-tracking and found itself mired in meetings, kicking off a chain reaction of ultimately fatal delays. Continuous planning: MicroTech’s risk-tracking tools fit seamlessly into a broader effort to tighten its strategic planning horizon. Long-range planning was maintained at a lean one year, contrary to the recommended three to five, while monthly strategy touchpoints allowed leaders to use fresh risk-tracking data to revisit and revise decisions. CommNet, meanwhile, updated risk Intel on an annual basis from their strategic plans, which ultimately proved no match for the changing fortunes of its tablet. Seamless Communication: MicroTech successfully created a continuous and frequent top-down and bottom-up flow of communication that connected project teams and senior – even C-suite – leadersThese communication channels were very “lean” and “visual” and did not require excessive time commitments from everyone. At CommNet, meanwhile, product leaders only received updates at major project milestones (or gate reviews), which ultimately contributed to product-killing delays. In one of its routine monthly planning forums, leaders at MicroTech pointed out that advances in a new material technology would heighten the risk of the disk-drive project over the next couple years. By leveraging its regular risk-tracking, flexible strategic planning and free-flowing communication, MicroTech ignited a chain reaction of decisions to increase manpower, budget and project scope. CommNet, meanwhile, discovered six months into its project that the upgraded tablet design wouldn’t survive the rough conditions it’s designed for. Instead of pivoting, senior leaders dug in, requesting additional tests that contributed to months of delays before acquiescing. The fortunes of each product come as no surprise. MicroTech announced its upgraded disk drive to investors in 2008 and saw shipments triple over the next three years. CommNet’s tablet, meanwhile, hit the market in 2008 after months of delays, only to receive poor business-press reviews and sales – leaders yanked it from the market the next year. These might be two products in a sea of high-tech devices companies roll out each year, but their journeys – and the decisions made along the way – are hardly unique. Our research compared the experiences of MicroTech and CommNet to 10,000 other projects through simulations to find that success or failure is inextricably linked to how risk, strategy and communication are managed in times of crisis. It’s not dashboards or scorecards alone, however, that equip companies to change course when the time comes. They must be part of a broader R&D culture that encourages feedback, inspires experimentation and develops agility and lean practices. Without it, scope creep can kill and can be extremely costly to handle in today’s economic climate.